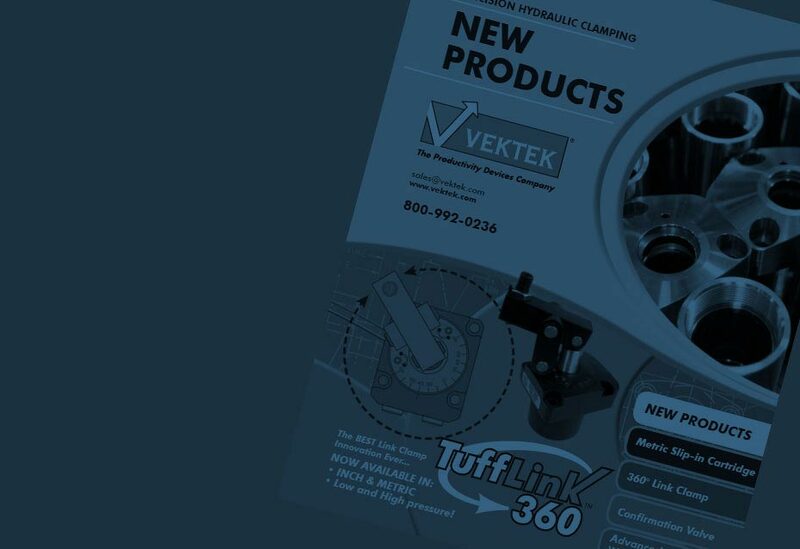 Download our new products catalog here. The Guardian gives you full time, “In Cycle”, hydraulic pressure monitoring. The Guardian is the simplest monitoring sytem to install and maintain. No transmitter pairing is required -- add new fixtures easily and hassle free. 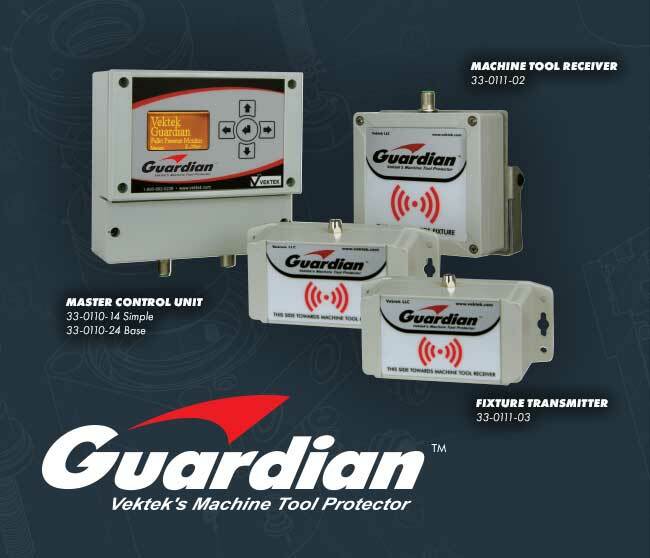 Guardian’s sealed system ensures positive pressure monitoring even in the harshest environments. Best of all, you will enjoy constant pressure monitoring with no interference issues. 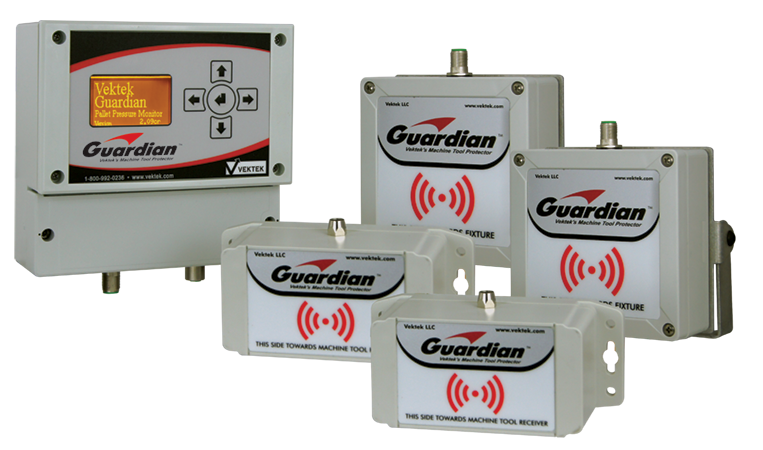 The Simple Guardian™ installs with four wires (Two power wires and a pair of M-code wires). 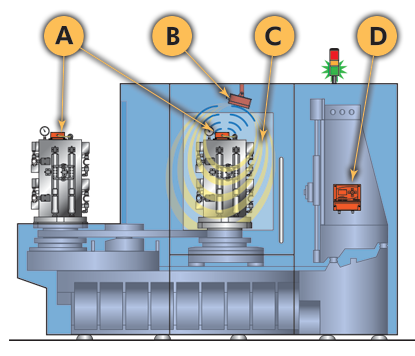 It is a quick and clean installation needing no modifications to the machine tool control. Leave the M-Code check instructions out of your part program for non-monitored fixtures. The Base Guardian™ system requires six wires and continuously monitors only the pallet in the machining envelope. The pallet being loaded is ignored during the unload/reload process until it enters the machine. Once inside the machine enclosure, Guardian's™ "focused field" monitors the pallet. Accomplish immediate full-time machine communication by wiring directly into a feed-hold or e-stop control. Guardian notifies your machine immediately of any critical pressure loss. Copyright Vektek LLC 2017© All rights reserved.